Antarctic dragonfish with eggs. Credit: Rob Robbins, US Antarctic Program. Our oceans are becoming warmer and more acidic due to anthropogenic CO2 and marine ectotherms, or animals dependent on external sources of body heat, must adjust to these new environmental conditions. Many scientists are looking at the influence of ocean warming and/or increased oceanic carbon-dioxide levels on fish. Fish are ectotherms, meaning that their temperature and therefore metabolism and life history are driven by external temperatures. Thus, fish are a likely candidate to be influenced by rising ocean temperatures. Rising oceanic carbon-dioxide levels lead to a decrease in pH in the ocean, resulting in a phenomenon called ocean acidification. These chemical changes in the ocean are expected to impact ocean species to varying degrees. The changing conditions in the habitats of many fish make this an important area of research. As conditions in the oceans change, scientists want to know how fish are influenced by these changes to know if the populations will decline, increase, shift their habitat, shift their role in their current habitat, or not be influenced at all. One group of scientists that are looking into the consequence of temperature and carbon emissions on fish have uncovered some interesting results that indicate the future of our oceans and its impact on the organisms that live within it may be more complex than we imagined. Considering the influence of each oceanic stressor on marine organisms independently may not be enough. The Antarctic dragonfish (Gymnodraco acuticeps) is a deep-sea bony fish that is found in the waters of Antarctica, specifically around the Scotian Arc. It is a long slender fish, typically 15-60 cm long. Not much is known about the biology of this fish. 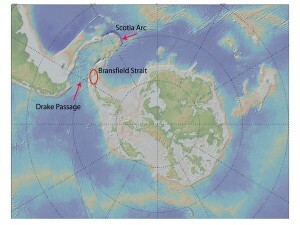 We do know that females spawn (release eggs) in late summer and early winter off of South Georgia and the South Shetland Islands. The eggs are relatively large (up to 4mm) and about 15,000-25,000 eggs are produced at a time. It is believed that nests of eggs are guarded by an adult fish, but it is unknown whether this is the male or female fish. They eat mysids (shrimp-like crustacean), decapods (crustacean, e.g. crab, lobsters, shrimp), and euphasiids (krill). The study recently looked at the combined effects of warming waters and increasing carbon-dioxide levels on developing Antarctic dragonfish. The scientists measured the survival and metabolism of dragonfish at two different temperatures and three different carbon-dioxide levels over three weeks. Dragonfish were an ideal candidate for this study because they are cold water adapted and slow growing. Their embryos take a long time to develop relative to many species (up to 10 months), so they are particularly vulnerable to chemical and physical changes in their environment. The study found that concurrent increases in ocean temperature and carbon-dioxide to levels expected in the next 85 years significantly altered the physiology and development of the Antarctic dragonfish. Under these elevated temperature and carbon dioxide conditions, dragonfish embryos developed more slowly and their survival decreased enough to suggest a potential for reduced hatching success and decline in population numbers with the expected future ocean warming and acidification. The researchers found that increases in carbon-dioxide alone did not increase embryonic mortality, but rather the highest survival occurred at the highest level of carbon-dioxide. This implies that carbon-dioxide alone will not negatively impact these fish. These results emphasize the fact that single stressors studied in isolation may not be enough to understand the implications of changing habitats on fish. Rather, stressors might need to be studied in unison to understand their interactions on the development of fish. The study concludes that dragonfish are more sensitive to ocean warning and may only experience physiological effects of ocean acidification in the presence of increased temperature. These reductions in hatching success, alterations in development and alterations in metabolism due to ocean warning and acidification might have negative ecological consequences. Flynn, E. E., Bjelde, B. E., Miller, N. A., & Todgham, A. E. (2015). 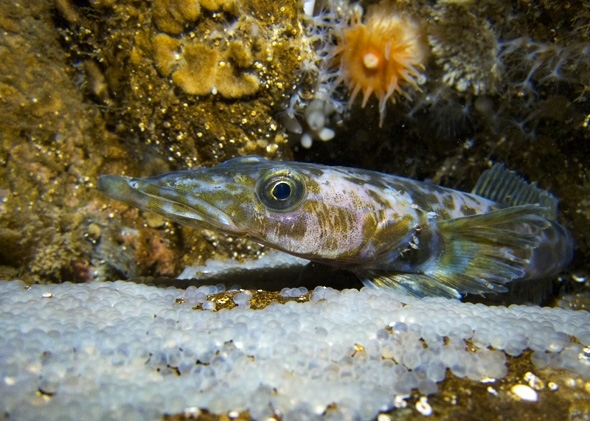 Ocean acidification exerts negative effects during warming conditions in a developing Antarctic fish. Conservation Physiology, 3(1), cov033. Next story Intentional River Fragmentation: Can It Be a Good Thing for Fish?